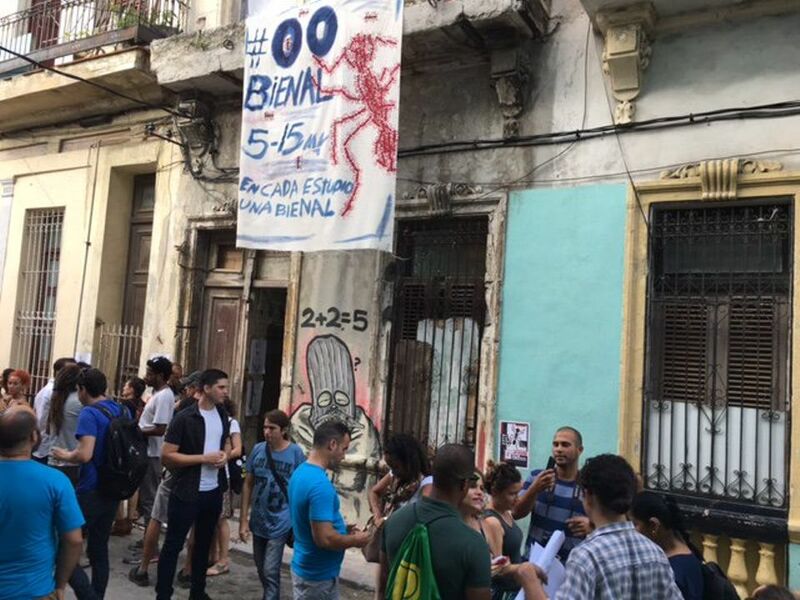 A group of Cuban artist­-activists plan to stage another alternative event during the run of the official Havana Biennial, which is due to open on 12 April after a year’s delay. The independent project is being organised in protest at a recently passed law known as Decree 349, which requires artists to receive approval from the Cuban government before their projects are mounted. Under the title Bienal Sin 349/Biennial Without 349, the exhibition invites international artists to stage gestures or other actions alongside local artists reflecting on the subject of censorship in Cuba. “It’s evident that Decree 349 is oppressive,” says Luis Manuel Otero Alcántara, one of the organisers, who was also behind the grassroots 2018 #00Bienal in Havana. That event was created as a “biennial for everyone” after the official exhibition was cancelled by the government due to the devastation caused by Hurricane Irma. Alcántara was arrested twice because of his efforts to stage the defiantly political exhibition, and Decree 349 is largely seen as a government crackdown on such dissent. The collective Movimiento San Isidro and Los Artistas de los 30s, who have been outspoken critics of Decree 349, have already joined the alternative event, which is due to take place at the artist-run Museum of Politically Inconvenient Art in Old Havana, and various as yet undisclosed locations during the first week of the biennial. “This is really about inviting artists to stand in solidarity with us,” Alcántara says. By drawing awareness to the oppressive conditions Cuban artists face today, Alcántara says that Biennial Without 349 will be considered successful if it is even allowed to take place. “If the regime lets us do these projects, it’s a victory because it means that it can’t silence us,” he says. To participate, artists can email Alcántara at cartelera13bienal@gmail.com. Correction: An earlier version of this article incorrectly reported that the artists Tania Bruguera and Coco Fusco had joined the Bienal Sin 349. We apologise for the error.